The requirements to become an armed security guard in Kentucky may vary based on the city. There isn’t presently any licensing policy in place for armed security guards at the state level. However, you must contact the local City Clerk’s office. In addition, the company that is hiring you will have the basic requirements that must be met in regards to firearms. For more information, please call Kentucky State Police at 502-782-1800. 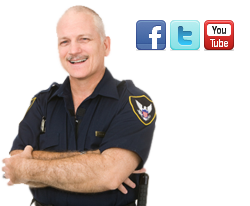 Request information on Armed Security Guard requirements. Where training is available and permits may be obtained. request information about permits and where training if needed can be obtained.